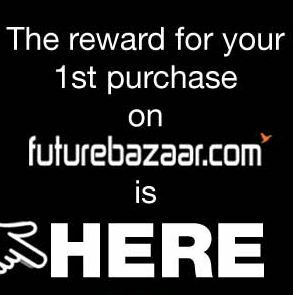 Futurebazaar is giving Rs 150 off on purchase of Rs 250 & above for all new users. Just follow the steps and avail this offer. How to get Rs 150 off on Rs 250 & above? Futurebazaar will charge Rs.50 as shipping if your order amount is below Rs.500. Jabong is running an offer where they are giving Designer sarees starting at Rs.549 with free shipping. 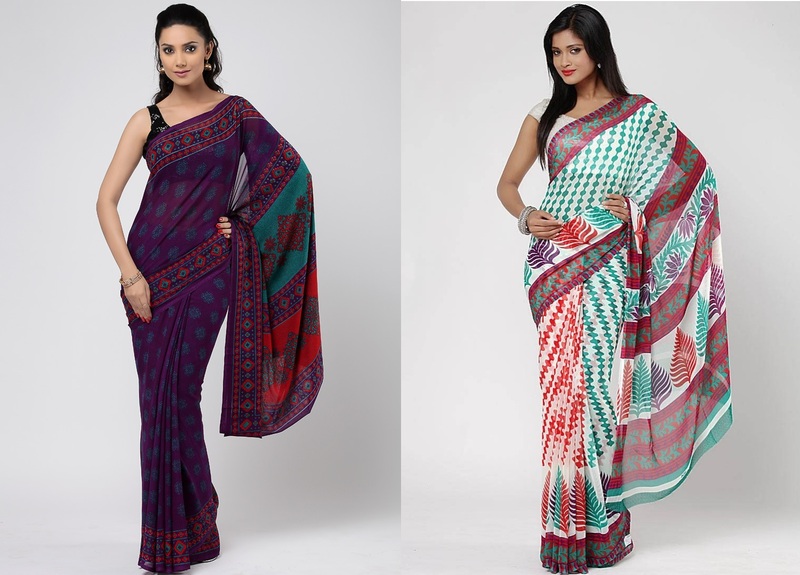 You can also get flat 15% off by using below coupon code and get these Sarees just @Rs.467. How to get Designer Sarees as low as Rs 467? How to get Beverly Hills Polo Club Men's Sunglasses of worth Rs.3450 at Rs.399 ? Note: Buy this deal before it get sold out. Get Plastic & Stainless Steel Casseroles Worth Rs.225 at Just Rs.125 with Free Shipping and cash on delivery from yebhi.com. 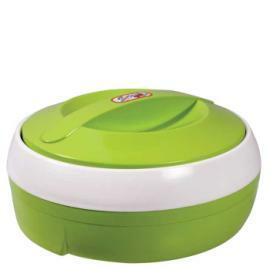 How to get Princeware Casseroles worth Rs 225 @ Rs 125? Note: This Coupon Code is Applicable on all purchases of Rs.149 and above. Not Valid on Electronics, Jewellery and Super Savers. 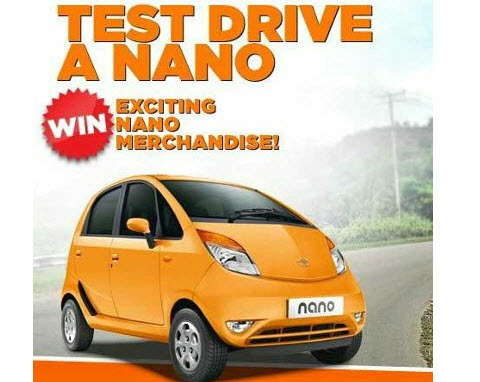 Once again Tata Nano is giving free merchandise but this time you need to test drive a Nano first to be eligible for Nano merchandise. This contest is for first 2000 entries. 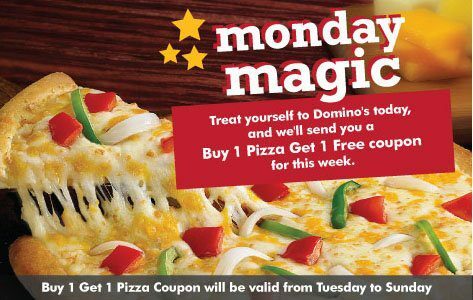 Domino's just come up with a offer in which they are giving Buy one Get one ( BOGO ) offer for all those who buy pizza today (Monday). You will get a Buy one get one Voucher which is exclusively for you and can be used between Tuesday to Sunday. This B1G1 coupon can be used between Tuesday to Sunday only. This is only valid on online ordering. How to order Pizza today to get Buy1Get1? 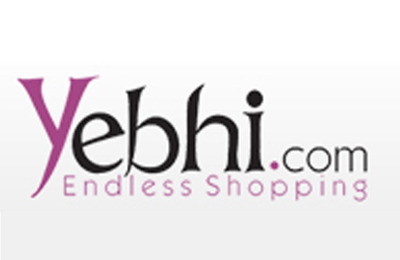 How to get Rs 100, 400 & 1000 off on yebhi? You can use Cash on Delivery also.